ReadyBytes make some of the most popular third-party extensions for JomSocial, and we’ve been working closely with them over the last couple of weeks to make sure that their components work smoothly with new JomSocial 4. Those improvements make up a large part of the changes we made in JomSocial 4.0.3 but you can see the full list of fixes and improvements in our changelog. Before you view that list, do read through this blog post to discover the most important new additions. We’ve completely rethought integration with ReadyBytes’ JomSocial Profiletype extension. The extension used to hack Jomsocial files to work. No longer. That’s great for everyone using Profiletype. On the JomSocial side, 4.0.3 is mostly a bugfix and maintenance release. There are no known security issues or fixes in this version but if you need all these bugfixes, we do urge you to update to this version. Simply log in to your account at the JomSocial website and download the latest package. 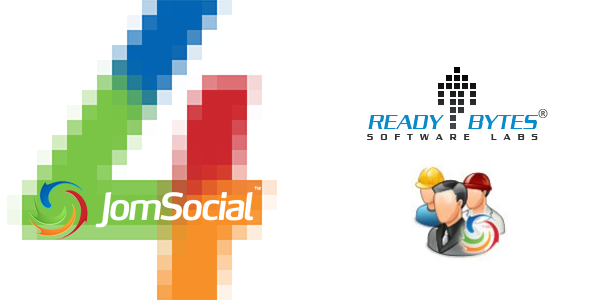 Unzip the package to find the JomSocial 4.0.3 installation file or iJoomla Installer. Navigate to the iJoomla Installer component and click the red "Upgrade" button. Instructions for this method can be found here. Note that version number in the document might differ from the current version but the upgrade process is the same. From any JomSocial version 3.2.x.y - First upgrade to Jomsocial 3.2.1.6, then go to the Joomla extension manager and install version 4.0.3 on top of the previous version. From JomSocial 3.1 or older - Perform a tier upgrade. Patch files are provided as a courtesy and it is always recommended that you update your JomSocial installation using an installer. If however you must update through patch files, they are available on the forum. If you’re not sure how to update with patch files, we have a tutorial for that too.